1. In General PM Abiy Ahmed is not the leader we all thought Godsend. This is not something personal, for I like Abiy Ahmed as a n individual . However, i n such short period since his visit here in the United States , much has come to light that has made me to look at the current Leaders far more closely and objectively , and I find them lacking and dangerous to the very existence of Ethiopia as a nation . I admit that I am at a disadvantage in making an objective judgment on matters concerning Ethiopia . Because of my deeply seated love for Ethiopia not just because she is my Motherland , but also for concrete reasons such as its fab ulous history and its beautiful people , I tend to believe the good spoken of Ethiopians in general and its leaders in particular . I have been flip - flopping in my views about PM Abiy Ahmed along with a few Ethiopians who heard his speeches because I was se duced and pulled into contradictory positions. In a way this ambivalence shows that I am not burdened with narrow ethnicity n or hateful of any particular group. The power of words on me is very real , for I could be moved by words into tears with compassion but also into a r oaring lion in anger . Such a statement is more of an a c t of faith than empirically supported or drawn conclusion. We need to learn a precious lesson from my journey that at times during great turmoil that it is better to hanker down and observe before popping up and writing pieces making a fool of oneself. This article is my effort to restore some dignity to myself as well as correct some serious errors of judgment on my part on the present volatile situation in Ethiopia and about the danger facing Ethiopia if the leadership of Abiy Ahmed continues . There a re overwhelming reasons for removing Abiy Ahmed from office to save Ethiopia from disintegration and the creation of mini - states such as Oromia, Ogaden - Somali, Tygraei, Gondar, Sidama, Benshangul et cetera. None of such states would be viable for decades, and in the meantime the Horn region will be drawn into the bloodbath of ethnic cleansing started within the new mini - states of fragmented Ethiopia. It would be socked with blood of minorities within each mini - state and also with the counter attacks by neig hboring mini - states and the ensuing blood shade is no less atrocious. This armed insurrections and liquidation of members of ethnic groups will spil l over into Eritrea, Djibouti, Somali land ( Hargesa ) , Somalia (Mogadishu), Kenya, Uganda, South Sudan, and Su dan. It might even jump across the Red Sea into Yemen, Saudi Arabia et cetera. One simply cannot dismiss one hundred ten million people not having some major consequences if disbanded armed and hungry. There is not much tim e to waste debating and speculating the fate of Ethiopia. What I witnessed in the last five days is enough to convince anyone about the gravity of the political and social problems facing Ethiopia. Because of the wrong policy of federalism based on languag e and the creation of Kilils , a huge chasm of disaffected Diaspora come into being. On that score, I have always supported anyone critical of such system. I blamed Meles Zenawi as the spearhead of that devastating policy and its implementation. With the issue of corruption of some TPLF leaders , I had no way of verifying the truthfulness of the matter since I lived outside of Ethiopia never visiting since 1992. I will assume that some of the allegations are true. However, the rabid Diaspora intellectuals and a lot of ignoramus economic immigrants ( who falsely claim political causes for their refugee status ) wrote and blogged unfounded generalized condemnation of all Tygreans as if they were wallowing in great wealth and development projects . Whereas the reality on the ground in Tygrai showed that Tygrai was the least developed region with minimal government led projects of any investment except a badly needed but poorly constructed Dam and a textile factory that is more of a headache because of poorly desig ned system of the acquisition of raw material. If we consider the history of rebellion in E thiopia, the most successful were the two Woyane rebel lions : the first in 1943 - 44 and the second that was started in 1976 that succeeded to destroy Mengistu Hailemariam and his Government in 1991 . Just to remind you of the illustrious history of the Great Woyane R ebellion that several of you write disparaging opinion about due to your ignorance and unwillingness to learn the truth, I am in terjecting the names of the leaders and what they fought for. The 1 st Wo y ane rebellion was led by Fitawrari Yeebio Woldai (Wedi Weldai), ( b orn Samre - Enderta ) , the Chief leader and commander of the 1943 woyane rebelli on ; Dejazamtch Negusse Bezabih, ( b orn Da ' Meskel - Mekelle, Enderta ) , a t op leader and commander ; Bashay Gugsa Mengesha, ( b orn Adi - seleste, Hintalo - Enderta ) , top leader and commander ; Blata Hailemariam Reda, ( b orn Dandera - Enderta ) the most dynamic Commander of the 1943 woyane rebellio n . Of course, there was intrigue and betrayal too in that fantastic peasant uprising . The Imperial g overnment of Emperor Haile Selassie I had to enlist the help of the British Royal Air Force to bomb the Rebels’ strong hold s and battle formations in Mekele, Amba Alage, Mychew, Enderta et cetera which they did mercilessly for weeks . After the rebellion was crushed, Emperor Haile Selassie I acted in judicious and merciful manner by not commit ting any mass executions, but exiled the leaders of the Rebellion to Debre Brehan and later to Southern territories. He even enlisted some of them to help him subdue rebellion in the South. [However, the irony here is the fact that I think of Emperor Haile Selassie as the greatest Emperor and leader Ethiopia ever had.] The second Woyane rebellion is embedded as TPLF in the history of Ethiopia , and as member of the present coalition of EPRDF that run s the Federal Government of Ethiopia. This is also the First Rebellio n by none aristocratic claimants in all of Ethiopian history that came to power by its own sheer courage and fighting skills. [The Derg is a military coupe not a rebellion movement.] However, t o date the TPLF has lost its leadership in that coalition and E thiopia is exposed to very perilous future. The magnitude of the sacrifice is mind - boggling, and in sheer numbers over sixty thousand lives were dearly paid as the sacrifice to destroy the Derg. I heard Abiy Ahmed repeatedly making totally misleading and insulting remarks about the struggle of members of the TPLF in the prolonged fight of seventeen years waged against Mengistu Haile m ariam , the brutal genocidal coward who run off stealing millions when he realized of the eminent defeat of his poorly lead Ar my in 1991 . Abiy Ahmed with his convoluted sense of historical facts about the sacrifices of tens of thousands of TPLF warriors, disparaged the entire Tygrean population with inciteful words and phrases such as የቀን ጅቦች Yeken Jiboach . Abiy Ahmed was an 11 th hour addition to the OPDO / EPRD F forces after they have already dislodged and won over the Forces of the Derg in 1991 . Demeke Mekonnen was recruited even later. It is quite amusing to me to hear Abiy Ahmed talk about such historical facts of struggle and sacrifice with condescension. Abiy Ahmed is an amateur politician, rather than building on his base EPRDF Member Parties he attacked and compromised such strong roots of the coalition namely the TPLF which led to dissentions and boldness by weak members s uch as the Somali group. The willing Amhara and Oromo blob s easily use as their mantra the many inciteful and insulting words and phrases used by Abiy Ahmed and thereby the cowardly mob commit ted numerous atrocities against innocent individual Tygreans and Amharas . And the recent atrocities committed by gangs of Somali thugs in Jijiga on Am ha ra s and few Oromos is equally blameworthy on the New Leadership. Abiy Ahmed , Degu Andargachew, and Demeke Mekonnen, all have buckets of blood of innocent people soaking their hands and they will pay for that dearly sooner than they think . These new leaders have no credibility and record of service that could endear them to the tens of thousands of members of the EPRDF support group and also in the members of the Federal Ethiopian Forces. Except for some of the Gond a r and Baher Dar area, and some limited areas in North Wollo area , the Amhara r e gion is ill - informed and disorganized. The staunchest often barbaric lynching of ordinary innocent Tygreans and the destruction of their property took place in Gondar, Baher Dare, Belesa area , Woldia and Kobo, and Debre Markos . Amharas involved in such atrocities and the off icials of those towns who are now supporters of Abiy Ahmed that blatantly allowed such shameful acts to take place from such area s should be shamed and legal action s must be taken against them . The alternative is to hunt down such rabid dogs with vigilance sooner or later. For now, I urge all concerned righteous Ethiopians to k eep all records accurately with names and addresses of such murderers and officials who are responsible to govern such areas . One must understand the fact that Abiy Ahmed has no sol id personally developed political ground to stand on. The facts as I learned of them recently from reliable sources, that there was no “ Team Lemma ” at any such period that comprised of brave members of the ruling group. Whether it is Abiy Ahmed, Demeke Mekonnen, or Gedu Endargachew never w ere part of a conspiratorial group that heroically designed the downfall of TPLF Leadership. They do not even lik e each other. Even the phrase “Team Lemma” is a later monoculture that appeared in writings of conspiracy theorists in the Diaspora, in the same way as Al Mariam of late has been promoting “Team Abiy” obviously to counter the popularity of Lemma Megersa th at eclipsed Abiy’s presence in almost all of the public addresses in the Diaspora conferences in the United States. Those individuals that climbed into power on the tail coat of Abiy Ahmed are the luckiest politicians in human history. The Leadership of TP LF was compromised then and continued to fall apart of its own stupor, lethargy and corrupted fragmented Leadership thereby opening space for Abiy Ahmed to squeeze through to the Premiership of Ethiopia. ፍየል በግርግር፣ እናቷን ታጠቃለች። Fiel begriger enatuan tateka lech . Abiy Ahmed is frantically trying to buil d a base by inviting in and courting leaders of terrorist organizations such as OLF, Ginbot - 7, ONLF/ Jawar Mohammed, et cetera. Th e s e groups are working for their own share of the pol it ical carcass of Ethiopia that they presume is dead and ready for ቅ ር ጫ kircha butchering . But writing - off Ethiopia in such hasty manner is premature and a serious error in judgment. Ethiopia is not a political ly dead carcass to be butchered into mini - states of Oromia, Ogaden - Somali, Amhara Gondar, Tygrai states et cetera. The zeal and patriotic sensibility in maintaining Ethiopia united and sovereign is very much alive in the hearts and minds of millions of Ethiopians. Mind you the fact that the popularity of Abiy Ahmed is solely based on the misperception of the Ethiopian population tha t Abiy Ahmed is a unifier and champion of Ethiopian unity wrongly contrasting him against the TPLF wrongly perceived as anti - Ethiopian unity . The e vents of the last few days tell us a totally different disappointing story, for Abiy Ahmed is in fact the one that is fracturing Ethiopia by his “forgiveness” of criminals who had caused the murders of thousands of Ethiopians during the Red Terror and afte r and amnesty scheme to allow into Ethiopia terrorist leaders who had fought for decades to destroy and dismantle Ethiopia. Rather than working and strengthening his base, the EPRDF, he looked for outside help to weaken the EPRDF. He courted the defunct De rg leadership including Mengistu Hailemariam through the idiotic former PM Hailemariam Desalegn who was pictured grinning with Mengistu the bloody murderer of tens of thousands of Ethiopians in Harare , Kassa Kebede the right - hand man of Mengistu, the Leade rs of the OLF, et cetera. The Peace Agreement with Eritrea is also part of that scheme. Abiy Ahmed is just a passing dream turned into a nightmare. The sooner we get rid of such “ አፈ ቅቤ፤ ልበ ጩቤ ” Afe Kibe, Lebe chu be leader (descriptive aphorism used by a patriotic blogger Yonas Muluneh ) , the better for Ethiopia. What Steps must be taken to reverse the current trend of Oromoization of Ethiopia by force and deception that is underway as I write this very moment . Whether deeply set or accidently being led by Abiy Ahmed , this ongoing setup of Oromo dominance is not helpful to bring order to this deeply fractured Ethiopia . It is in the best interest of all Ethiopians to restore the balancing of power as practiced by TPLF minus the corrupt TPLF leaders and replac ing them with young and visionary leaders. I urge TPLF Leaders to reconstitute the Party quickly and install new leadership. The New Leadership of TPLF must start the march to liberate Ethiopia from Abiy Ahmed’s totalitarian single ethnic rule. The goal s hould be to reach Addis Ababa as soon as possible. He who c ontrols Addis controls Ethiopia. I suggest that t he 3 rd Woyane wave of liberators use the lesson learned in 1 9 90 - 91 march on Addis Ababa that was multi thronged and fast moving. It should be abl e to recruit local groups to help it achieve the administrative control and management of villages, towns, and the local population at large just as in 1990 . For the Woyane forces to be effective , the TPLF must first get rid of the cult of Meles Zenawi al ong with the entire current leadership of the TPLF and use former field commanders including those that were unjustly pushed out when Meles Zenawi was consolidating his power. There must be chosen a dynamic well educated and patriotic individual to lead th e 3 rd Woyane. Such an individual need not be Tygrean by birth, he or she could be chosen on the strength of character of unquestionable Patriotic zeal and tremendous commitment to the ideal of Ethiopiawinnet from any ethnic group. I suggest focusing on Afar, Wajirat, Irob and even Wag/Lasta as source for such a leader. I would choose a female leader if I have a chance to do so. However, in such leadership for resurrection of the forces of TPLF, do not include losers in the past power struggles of TPLF , individuals such as Aregawi Berhe and his group, Gebru Asrat and his group et cetera or even Seye Abraha, but they could be used as advisors . The new leadership must give stern warning to such dissenter groups of old not to compromise the new liberation campaign in any form. I am very upset and deeply saddened by the assassination of Engineer Semegnew Bekele. I have very few heroes in my life, and Eng Semegnew was/still is my one hero I respected and admired deeply . I am convinced that the death of the dedicated Ethiopian patriot is the work of Ethiopians in collaboration with Egypt/Saudi Arabia/UAE and/or any of the other Arab countries. I suspect more than any g roup in this sabotage Or omo secessionist groups. Mind you that all the men and women charged with the assassination attempt on Abiy Ahmed of June 16 are all Oromos. At that time people were pointing their racist fingers at Tygreans and even lynched a few in Addis, Debre Markos, G ondar et cetera. The only problem I have with that assumption is the fact that such Oromos lack both the courage and efficiency to carryout such major assassination. It will not surprise me if the individuals involved are Ethiopian security personnel recr uited by the new Chief of National Security on behalf of Abiy Ahmed. The forensic of the crime scene and at the hospital too seems very suspicious. This was/is one situation the use of FBI would have been most appropriate. But that was not allowed by the E thiopian Officials. I guess Demeke Mekonnen and Abiy Ahmed might have been involved , for their lukewarm reaction to the death of the Engineer is puzzling to me and a number of Ethiopians too . We must guard against the honeyed words of Abiy Ahme d and the words of his group members. They have superb abilities in painting wonderful images of a prosperous and joyous Ethiopia in our minds. We must guard against such seductions. I know it is difficult to resist such temptations by any hungry destitute nation, but we must dig deep into our collective consciousness for our uniquely Ethiopian patriotism and reject such temptations. The Arabs are not our friends. Period. I admonish you all, my fellow Ethiopians , to s tart with that premise and see where it takes you in your quest for your freedom and justice for all your fellow Ethiopians. But first there is the harsh reality we must face of real disintegration. I do not offer here any conclusory remarks. I am suggesting s imply starting points for a new and challenging liberation movement. Ethiopians over all lack discipline. Generally, the Ethiopian population is like a spoiled - child that has not truly experienced the harsh reality of a truly despotic ruler, except during the Mengistu Red Terror era. Ethiopian leaders are far more benevolent compared to other African, Asian or Latin American leaders in like situations. Yes, I know there have been killing, ethnic cleansing, torture and detention of thousands of innocent Ethi opians. But most of th e atrocities w ere carried out by local mob and murderous narrow ethnicists. I believe that we need a military government right now more than anything else to keep us whole and focused on our development effort. The Federalism that we experienced for the last twenty years has created havoc and division that must be reversed. The only coherent group that can achieve that national goal is our Military. I had advocated to use the Turkish model in pursuing the military rule for Ethiopia. In my first memo to the EPRDF in 1991 , I advocated the idea of allowing citizens to arm themselves and not to take away the armaments from those who were armed already. I also wrote about establishing an individual arms registration system for identificati on purposes and to counter criminal activities. I still believe in arming civilian citizen s so that they will have a fighting chance against g e nocidal narrow ethnicists attacks such as the one we witnessed in JiJiga and the Somali region over the Weekend . What leaders do not seem to understand is the fact that when one denies the civilian population from arming itself, it does not mean all arms are under governmental control. The reality is that criminal minded individuals will always have access to illegal weapon , and it is the law abiding civilian population that is left without weapon to defend itself. Now, accept the fact that Meles Zenawi and his TPLF supportive leaders have harmed Tygrei more than even Mengistu Hailemariam in the Seventeen years of h is rule. Meles and his supporters destroyed al most all members of the TPLF with learning and leadership potential and left TPLF barren . W e can see now the living proof in the fact how such a powerful organization collapsed on its own and allowed third rate young Oromos from OPDO to push it aside. If you scream all day long, you will not be able to pull in a single well educated and well experienced possible leader from the current leadership of TPLF Tygrei. By contrast the Oromos can call up thousands very highly qualified Oromos to leadership. Who did that to Tygrei? Not Amharas, nor Oromos, nor Somalis. Then Who? The age - old wisdom expressed in the Amharic language tells us the time tasted truth that once there is a serious crack in a glassware, no amount of mending can restore it to its original use. By analogy, if there is a serious breach of trust in a tightly held organization, that organization will not survive in its o riginal form. ብርሌ ከነቃ፣ አይሆንም ዕቃ። Abiy Ahmed had already made serious errors that cannot be corrected easily by his being in office . He must be removed from office , and we must start all over from square one in choosing a new leadership from TPLF. Period . The first order of business is getting rid of the terrorist groups and their lead ers that Abiy Ahmed had inv i ted into our holy Ethiopia . 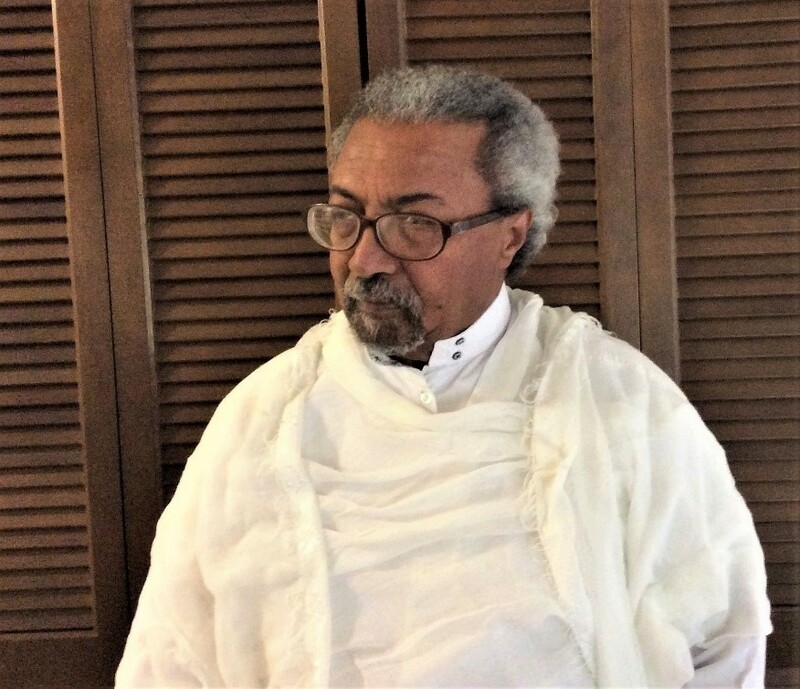 Clean slate for birthing political organizations must be made up of indigenous Ethiopians who are their own masters and not surrogates for aged scholars and ambitious octogenarian Ethiopians in exile. Now , the TPLF must call an emergency meeting of a special Conference of the Members of the EPRDF to be held in Mekele, not Addis Abeba. TPLF leaders must not accept any meeting in Addis Abeba , for the place is not properly secured . Let us start working on those two concrete suggestions. Something Wonderful Coming Your Way, Ethiopia. NB: Next Article will focus on the role of the Ethiopian Military and Security Forces during this volatile period in Ethiopia.